Intermediate drones offer users more advanced features compared to quadcopters designed for beginners. 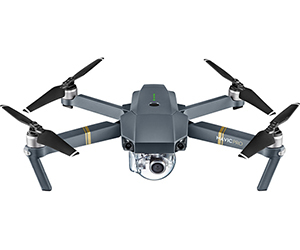 Many drones in this category are able to capture ultra-high definition (UHD) images with enhanced stability for excellent aerial photography. Top speeds typically range from 40 miles per hour (mph) up to 80 mph, the latter being for racing varieties. Popular drone brands for this skill level include DJI, GoPro, 3DR, Husban and Yuneec.